I’m a writer, poet, and nature lover. I also enjoy expressing myself through photography. My prose and poems are a small sampling of nature’s words. so you’ll find a few Scripture verses woven into this blog. 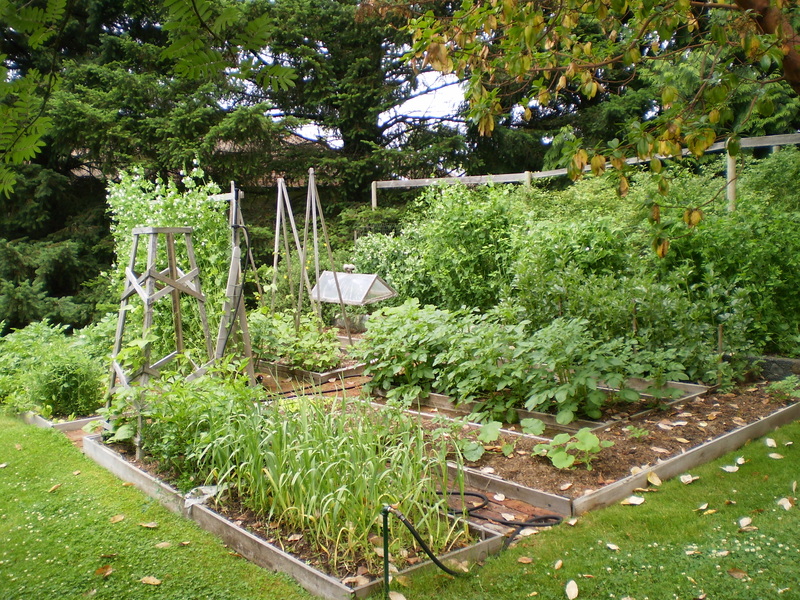 Here’s a picture of our organic vegetable garden. My husband, Ian, and I can sit on a nearby bench to watch it grow. that creaks and groans as much as our golden year bones do. We share our home with our three favorite people on the planet. after having been through 12 years of infertility. We’re a close-knit homeschool family. My faith is not shallow because I’ve been rescued from the deep. Thank you, dear Stephanie. It sums up my recovery journey. I’m editing my memoir that’s tentatively titled: Rescued from the Deep. Blessings on your weekend. I love reading the Bible as well!! So good to ‘meet’ a fellow reader. Thank you, dear Noelene. It’s nice to meet you. Yes, the Bible is absolutely my daily bread, and I’m glad to hear you love reading it too. Blessings. Thank for you for following my blog 🙂 Even though I’ve only read a little bit of yours tonight, I’m already intrigued and inspired. I look forward to reading more. You’re welcome, Lauren. Thank you for the follow back. I discovered your blog through the link from Karina’s to yours. Blessings on your week. Thank you, Jennifer, for thinking of me. I’m allergic to tagging other people—if anything. 😉 Great job on your e-less paragraph. ❀ Blessings on your weekend. Blessings to you and yours. Beautiful place. Hello! Wendy, Hope you had a Good Day and wishing you all the best for life! I’m Robin, 19, from robinsimpressions- a blogger, Artist, and your fellow brother in Christ. As I read your post ‘Stop and Smell the roses’, reblogged by Yoshiko, I thought I’d drop by. Your site is amazing and the tagline:”My faith is not shallow, because I’ve been rescued from the deep” caught my attention. Can’t wait a moment to give you a +Follow. May God bless you! Amen. If you like, please visit by and take a moment to share a word or two! Yes, God has blessed me with this gift:) Thanks Wendy! I am sooo excited about your “Sketchy Poet” Blog!! It’s delightful. Want to follow, but having trouble with Feedly. Going to find new app to read blogs. Do you have a favorite? Just having issues with Feedly lately. Thank you, Matheus. And thanks for liking my picturescriptures blog. Nice to meet you. 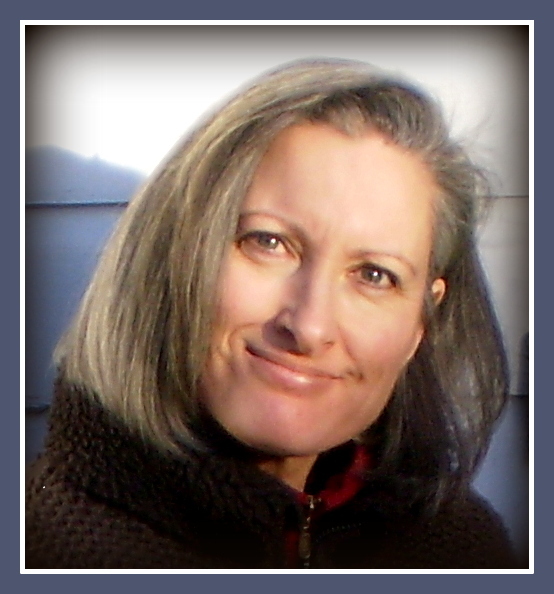 Thank you for following my blog; you are a blessing. Thank you for your like of my post, ” The Sabbath – Enjoy The Lord, Appreciate His Creation;” you are very kind. Please know how grateful I am for you kindness. Please have a blessed day. A beautiful blog. Couldn’t stop reading! What a delightful and interesting About. You are and your husband in the little that I read about you seem to be the kind of people anyone would want to have as neighbors. I feel me so good o your blog . Hi Greenlight lady! Thank you for coming by to visit and for the likes too! Hi Wendy, I totally understand! I find it a challenge myself.. Thanks so much! Hi, Wendy! You are most welcome. Hope you’ll be able to participate, but if not, I’m still glad to share your blog with my followers. Oh, I’m glad you are getting a Kindle. I love my Paperwhite SO much, because it isn’t backlit like a computer screen or smartphone, so it doesn’t bother my tired old eyes so much. If you do read one of my novels, I hope you’ll enjoy it. I’m about halfway through the sequel to Wake-Robin Ridge right now, and have the sequel to Swamp Ghosts planned out and the first chapter done. 🙂 Have a great week, Wendy! Hi Wendy! Just tuned in and found your blog this morning. Gave you a follow – come and return the favor if you’d like over at http://www.thatssojacob.wordpress.com. Have a great day! Your serenity place is absolutely gorgeous. 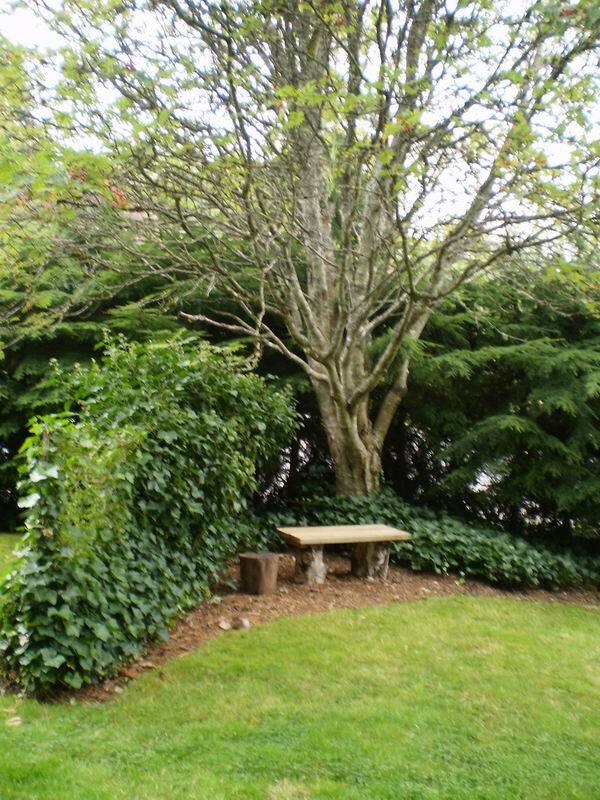 It looks like a perfect place to get centered and energized. Thank you, Jane. 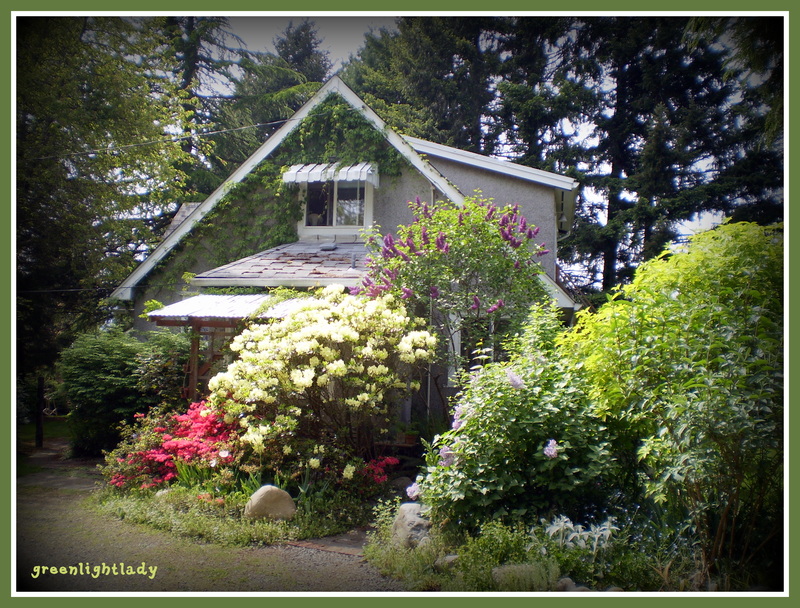 ❀ Being outside brings us closer to things God made and away from the diversions of man-made ‘stuff’. What a great place for prayer and meditation Wendy!! Beautiful. How lovely, and yes, it really is, I knew just by reading your delightful poems that you are a woman who knows the Lord. I’m thrilled to have met you. Thank you, Risty. ❀ It’s nice to meet you. I L O V E your garden! great work! I too am a green thumb and oh the sweet joys of seeing seedlings bloom! I can’t wait to read your future posts! I can already tell that I’m really going to enjoy your blog for all the beautiful poetry and photos! Wendy, I always feel closer to God in nature. Beautiful blog. I’ll be hanging around awhile. Blessings to you. Thank you, Susan. It’s so nice to meet you. Nature is a wonderful comforter. It bears the signature of the ‘God of all comfort’. I will be visiting your blog too. Happy Easter, Wendy! I was wondering if you would be interested in participating in a Blog Tour on the writing process. Long story short, you would answer 4 questions about what you’re writing and your writing process and then pass the torch onto 3 other writers. Let me know. Will send details if you’re interested. Lovely & intriguing are very kind words to describe it & I take it as a high compliment. I am happy for you to have come across my page so that I could yours..
No problem at all, but I do need your email to send it to. Feel free to send it to me privately, if you like. I can gift the book to you immediately. Been meaning to stop by and look things over since you commented on Bookin’ It the other day. Lovely blog! I’m very impressed with your beautiful organic garden. I’m hoping to start my winter/spring clean up in mine (here in central Florida) next week. I don’t do veggies, but I love seeing a well tended garden full of them. I’m more into butterfly gardening and herbs, and roses. Kind of eclectic cottage garden. I very much enjoyed your poetry and drawings, too. I’ll be back! And hope to see you again on Bookin’ It, as well. Have a great remainder of the week. Have you ever tried growing companion flowers with your veggies. I’ve heard marigolds are wonderful to grow with tomatoes, keeping away pests naturally, etc. I think there are other herbs and flowers that work well with veggies, too. Here, the squirrels get my tomatoes. The one vegetable that I do have good luck with is fennel. It often gets six to seven feet high. I’ve never eaten it, though. 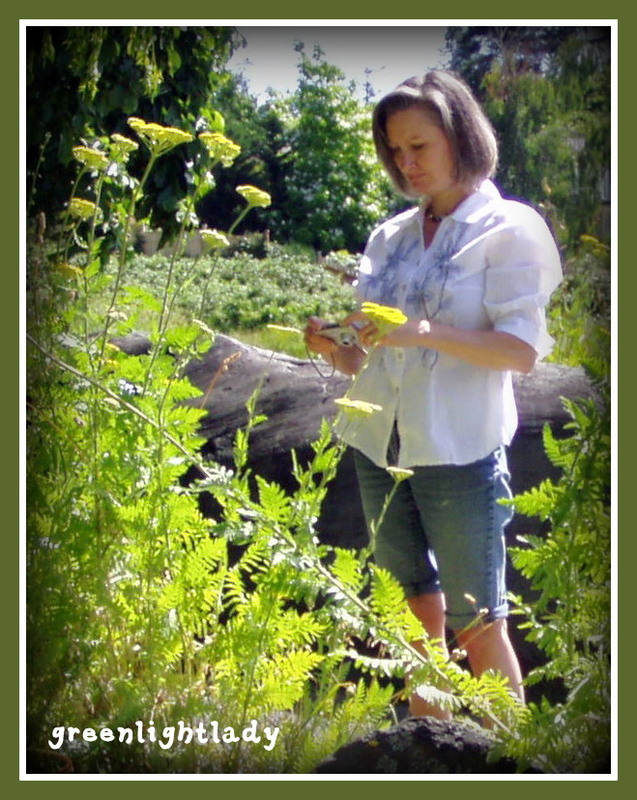 I grow it as a host plant for swallowtail butterflies, who love it. I like how it looks, too, with wide yellow umbrels of tiny blooms, and beautiful, feathery leaves. Gardening is so restorative for the soul, isn’t it? Agreed…even without words, nature speaks volumes. I like your post a lot.Merry Christmas for you and all the people you love. 🙂 Marylou, I hope that 2014 is a year full of blessings for you and those you love.